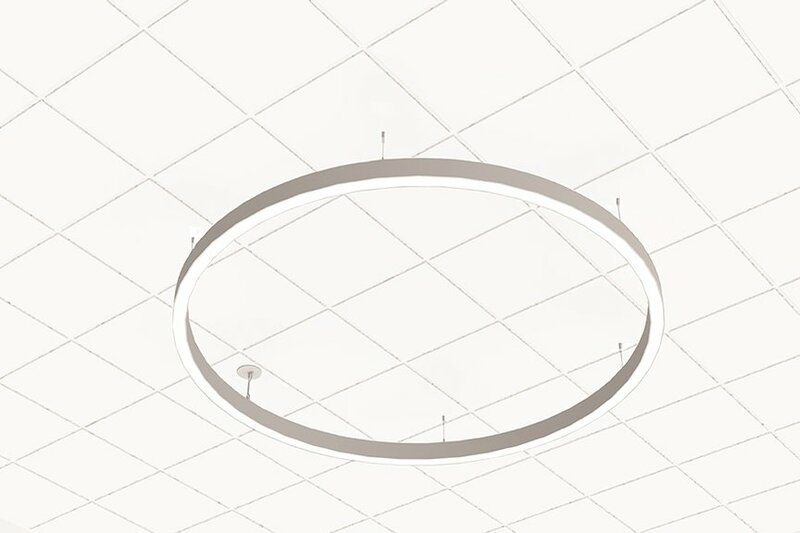 Modern extruded aluminum ring with clean curves and a bold presence. 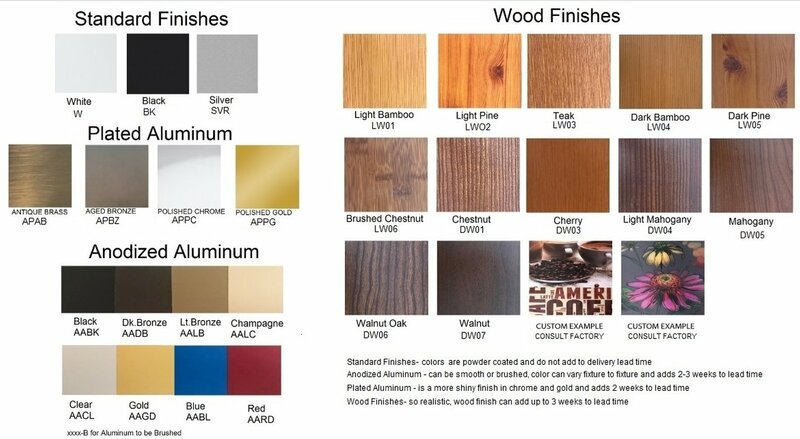 Standard color white, black,silver RAL/Pantone# Wood finish availability based on size. 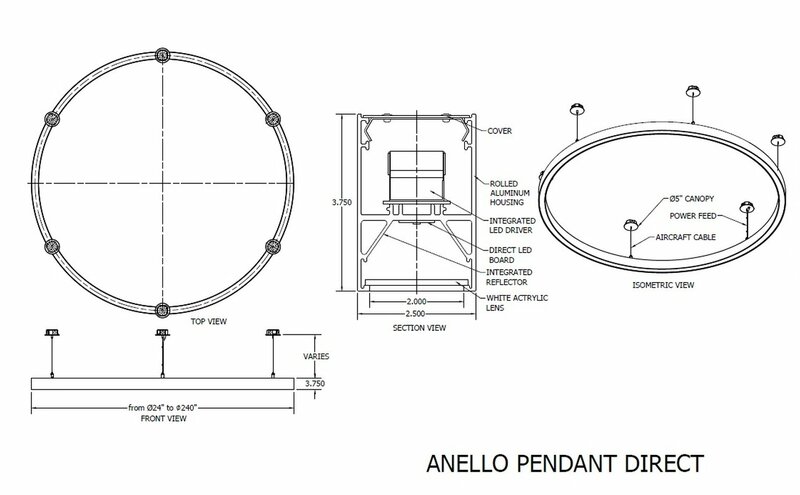 Extruded aluminum rings are supplied in our standard nominal sizes of 3 ft., 4 ft., 5 ft., and 6 ft.. Custom sizes are also available. 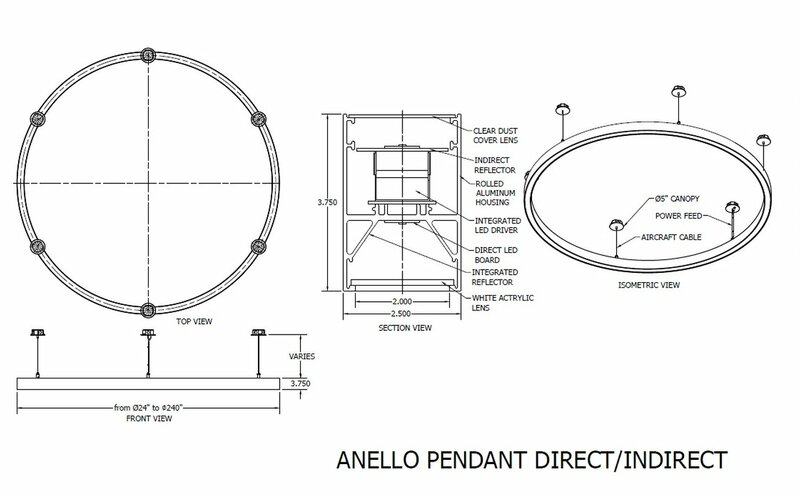 Each ring can be shipped containing from 2-4 sections that are locked together with ring clamps for perfect joint connection. Easy access to driver and LED boards. Regressed, lay-in acrylic lens formulated for LED light sources. Lift and shift lens. SP | Special - enter in notes.